How clean are our oceans? Information about our work on threatened species will be available soon. If you were a bird, a few critical things might influence where you choose to spend the night. First and foremost, you don’t want to be eaten by a predator! And, if you want to get some rest, you can’t rely on alertness, speed and agility to escape owls or tree-dwelling mammals… So, concealment might be important. Second, you want to minimise your exposure to the elements. Smaller bodies burn kilojoules a lot faster than larger bodies, and cold winter nights can take a heavy toll on energy reserves so a thermally buffered location will also be desirable. “For an activity that takes up a very substantial portion of a bird’s life, and where choices can mean the difference between life and death, we know surprisingly little about the ecology of sleep in birds” said co-author Rohan Clarke. What little we do know is intriguing – for example within large communal roosts, complicated hierarchies exist where dominant birds take position at the centre of the roost - the warmest and safest position - while subordinate birds must take their chances at the periphery. While it’s relatively simple to investigate these behaviours in species that roost in large groups, it is far more challenging to even detect individuals that roost alone. In an attempt to overcome this challenge, researchers from Monash University have been using infrared thermography, i.e. a thermal camera/scanner, to locate roosting birds of a wide range of species. ‘Thermal cameras measure heat emission. The difference in signal strength between an animal and the vegetation around it means that we can detect birds in total darkness. Another benefit is that the birds typically remain asleep, which means that this technique creates very little disturbance’, reports William Mitchell, lead author of the study. 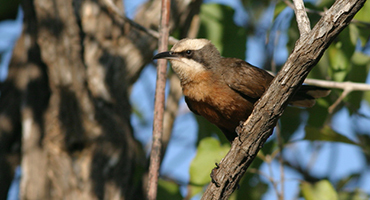 To ensure that the technique worked, researchers carried out bird surveys during the day in an Australian woodland, and then repeated the same surveys at night using a thermal camera. They then compared detection rates of the two methods. 21 of 22 species that were commonly detected during day surveys were also found roosting at night. 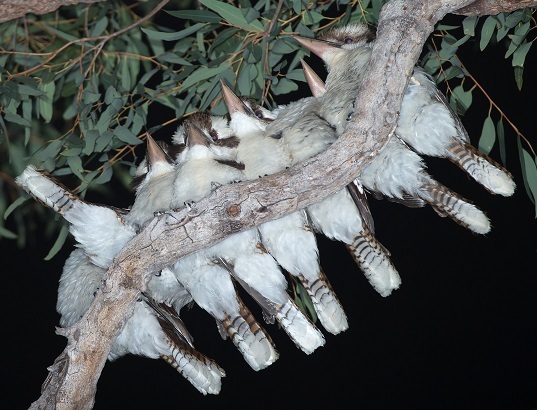 “To date, we’ve recorded simple traits such as height and visibility of roost sites but this method really opens the door to dig deeper into the nocturnal behaviour of diurnal birds’ said Rohan Clarke. Mitchell, W. F., and Clarke., R. H., 2019. Using infrared thermography to detect night-roosting birds. Journal of Field Ornithology. https://doi.org/10.1111/jofo.12285. Feather fouling or ‘oiling’ is a primary cause of seabird death during marine oil spills. When a seabird interacts with the oil at the sea surface the oil typically aggregates on the feathers to reduce both buoyancy and insulation. Because different oil products and different oil spill volumes result in different oil film thicknesses, the outcomes for seabirds can vary. A study undertaken by honours student James Matcott investigated the impacts of different oil film thickness on feather structure and integrity using feathers collected from a large number of tropical and temperate seabird species. Under laboratory settings, feathers of seabirds were exposed to either crude and condensate oil films of varying thickness. 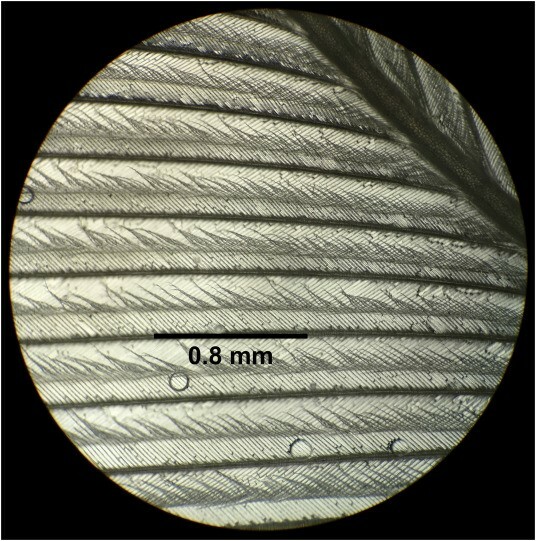 Feathers were then measured for changes in mass, and for changes in feather structure (specifically barbule clumping as can be seen in the image of a highly magnified feather). We found that there was a threshold response to oil film thickness, with oil films equal to or greater than 3µm leading to increases in both feather mass and clumping. “This finding shows that very little oil is required to damage the structure of seabird feathers”, reports James Matcott. 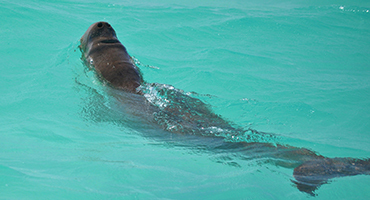 Nevertheless, when oil films are especially thin at the sea surface (i.e. < 3µm) they may have relatively little impact on feather structure and integrity. This finding provides new insight regarding the threat that oil spills pose to seabirds. “It shows that oil film thickness is an important consideration when devising response strategies that aim to minimise further harm to seabirds and other organisms in the event of an oil spill” said Dr Rohan Clarke. Mitchell, W. and Clarke, R.H. (2019) Using infrared thermography to detect night-roosting birds. Journal of Field Ornithology. Journal of Field Ornithology. 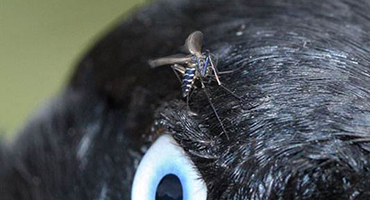 Matcott, J., Baylis, S. & Clarke, R.H. (2019) The Influence of Petroleum Oil Films on the Feather Structure of Tropical and Temperate Seabird Species. Marine Pollution Bulletin. Baker, D.J., Garnett, S.T., O’Connor, J., Ehmke, G., Clarke, R.H., Woinarski, J.C.Z. & McGeoch, M.A. (2018) Conserving the abundance of non-threatened species. Conservation Biology. © 2014 Research Ecology. All rights reserved.